All of the Terrariums and Kokedama we make here at Marimo Adrift are created by hand using plants sourced from a local cacti and succulent nursery. The majority of our plants come from this local family-run business who grow most of their species from seed. However, their mission statement to promote interest in and enthuse people about fascinating and diverse plants, many of which are struggling to survive in their natural habitat, means - at times - some of our more specialist plants will have been imported from other specialist growers overseas. 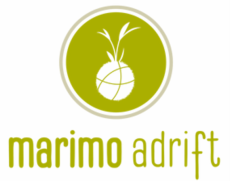 Our Marimo's are grown in optimal conditions by sustainable aquarium plant specialists and our moss gardens are assembled using moss we have picked ourselves in the 'wilderness' (often and surprisingly from the urban areas nearby) and we always do this in an ethical and responsible way. ​We hope you love your creations as much as we do!